Stepping into the unknown and joining a new cycling group is often a very daunting experience for many people. Please see the questions that women ask us about joining our cycle training group. For information about our training programs for women and any other questions you might have, please contact us on 0403 953 162 or womencycling@bradhall.com.au. Our interval training sessions on a Wednesday and Saturday are not speed based. They are structured so that everyone can complete the workout according to their current fitness levels. There are regroup points and a route published prior to the training session. Coaches will advise when you are most suited to the Friday Group Ride. Many people are unsure of the safety of riding on the road. This is why our Wednesday ON Road Group Training is based in Kings Park in the early mornings. Although early, it provides a largely traffic free environment. 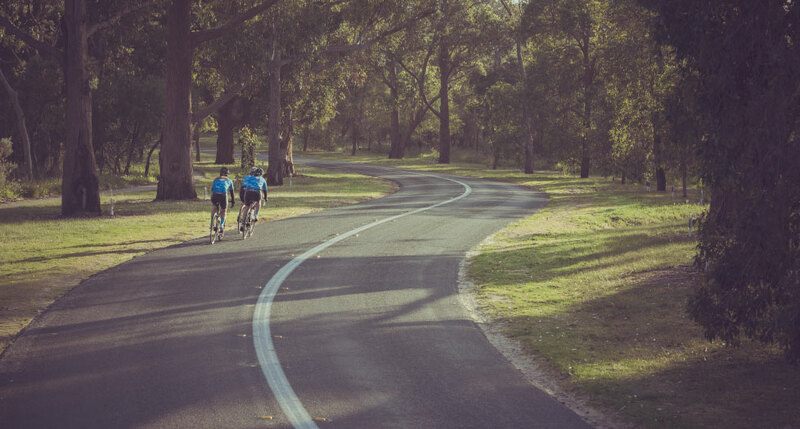 Our Friday Ride and Hills Ride do encounter the more busier roads but again, the early start times means we avoid peak hour traffic. Our coaches and our training sessions will introduce you to some skills and knowledge to help you deal with traffic. All our training sessions obey the road rules and we intend to adhere to the WestCycle Code of Conduct for cyclists on the road. The age of our athletes ranges from 13 – 70 years of age! Our coaches are also accredited with a Working With Children Check. Coaches from the Exercise Institute will be responsible for the delivery of the program including Shannon Miraglia, Brad Hall and Melissa Robinson. You can also attend other training sessions at an additional cost with experienced and qualified coaches Mark Hedges, Marc Phillip and Luke Ellis. Through our system of coaches and experienced riders across all disciplines, you will gain access to a depth of information, advice and tips on how to further your cycling experience and improve your confidence.